In Oceanography class, we are learning a lot about the ocean and beaches. Also we have looked at many different types of sand. On beaches, something called erosion occurs a lot. Erosion is the wearing away of rocks and other deposits on the earth’s surface by the action of natural weatherings. Erosion is created by the cause of water, wind, ice, and waves. These causes wear away the surface of the earth. At local beaches, such as Plum Island, dunes are eroded all of the time. The matter of erosion allows beaches to have new sand each time it erodes. The main causes of erosions at the beach are wind and waves. Waves are very powerful and can hold up to 2000 pounds of pressure. This creates the ground to be pushed, releasing the sand from the dunes and causing erosion. When combining the pure energy of waves with the chemical of water, it easily breaks down rock. When the sand is moved from the strong waves, new sand is almost always brought back from new waves. 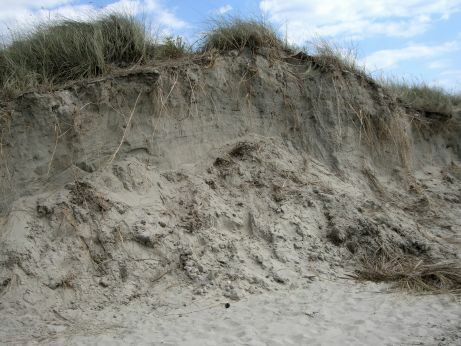 Wind erosions are mostly responsible for the creation of sand dunes. Wind picks up sands and drags it along the beach. Some of the sand sticks to the ground of the coastline created with water and creates a hard and sturdy sand dune. When the wind is strong during a storm or windy day, it may pick up the sand from the dunes allowing dunes to change in shape and size very often. Not only are dunes on the outside of the ocean, but many appear on deserts and upon the ocean floor. 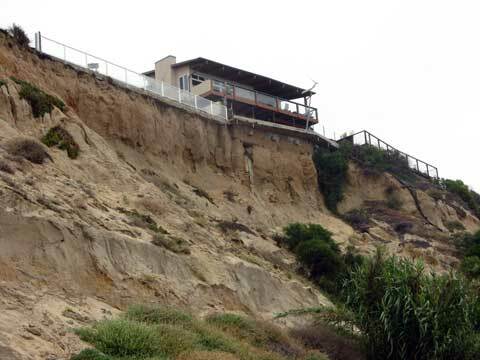 An examplw of beach erosion with a house falling into the ocean. 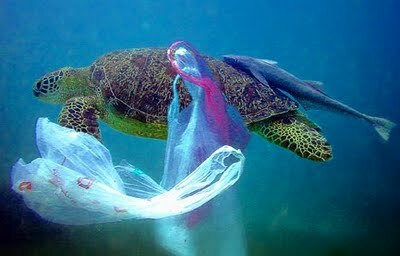 A sea turtle caught in a plastic bag. Bird caught in a plastic bag. During my recent field trip with Ms. McCarron’s Oceanography class we attended Plum Island beach and other sites as well. While on my trip to the beach I observed many different species of plants. These plants included beach grass, dusty miller, different sea weeds, golden rods, and other plants. As I studied these plants I realized that they had all adapted to their environments. The plants were sturdy and could handle the winds of the beach and the salty sea water as well. While on the beach, I also saw some animal life. The animals I saw were crabs, oysters, muscles and seagulls too. Seeing these animals left me thinking about how beaches are affected by us humans “invading” their homes. Overall, there are many ways that beaches are affected by humans and I observed many of these while on the field trip. One way that beaches are being affected by humans is the development of houses on beaches. These houses are disturbing the natural habitats of beaches by adding human interaction that wouldn’t normally be so close to beach plants and wildlife. Also these houses are having problems caused by the beaches as well. The natural erosion of sand on beaches by the waves is causing houses to be literally falling into the ocean. In an effort to stop this erosion, barriers or Sea Walls are often built, but these walls can actually cause more damage as they can add waste to the beach as the walls break and even in some cases cause more erosion than before. Another way humans are impacting beaches is by collecting and hunting wildlife. As humans collect shells they could possibly be taking away the “new” home for a crab that has outgrown its shell and may be in search of a new one. Then in the case of hunting wildlife, this would be activities such as fishing that could be depleting a certain type of fish in the sea. Thus taking a way an organism that is a vital part to the ocean’s ecosystem as a species and a source of food for other organisms. A final effect of humans on beaches is pollution. This waste would be any trash that humans leave behind on the beaches as this will affect the wildlife. 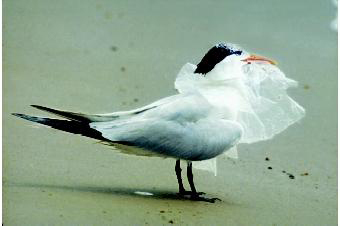 Animals such as seagulls can easily mistake trash for food and can choke in an attempt to eat said “food.” Animals can also become easily entangled in plastic bags. Another waste I actually observed on the beach was small white disks spread throughout the plant life. After some further questioning I came to find these were indeed biohazard disks. From further research I’ve learned that there were similar disks found on Hampton and Salisbury beach from a wastewater plant. This could be the cause of the disks on Plum Island or just a similar case, either way the impact of this biohazardous waste on the Beach is grave to the wildlife and their environment. All in all, there are many ways that humans impact beach wildlife, plant life, and environment. So overall, my observations and research on the human effects on beaches relates to the study of Oceanography greatly. The way that humans interact with beaches affects wildlife and oceans as well. Humans’ negative impacts on beaches such as overhunting, development, and human waste all leave a mark on the oceans that are an important part of our planet. Oceans provide humans with a source of food, business, and a beautiful place to relax. Oceans also play an important part in the natural balance of the Earth and our lives. In the end, human interactions with beaches and oceans relates to the study of Oceanography as a whole because the way we interact with the beaches has effects on Oceans and the Earth as a whole.